Wenaas FR Industry Coverall includes a hidden two-way front zipper under flap to keep free from dirt and dust. Breast pockets and arm pocket with flap. Map pocket, inner pocket with zipper and inner mobile phone pocket all provide ample storage for your items. We can embroider your custom logo on this garment. Please email sales@northseaworkwear.com with the logo in jpeg format after placing your order. Concealed two-way front zipper under flap. Breast pockets and arm pocket with flap. Map pocket, inner pocket with zipper and inner mobile phone pocket. Slash pockets with easy side access. Double leg pocket with phone pocket, pen pocket and flap. Conforms to: EN11611 Class 2 (welding), EN11612 (FR). EN ISO 11611 Compliant. 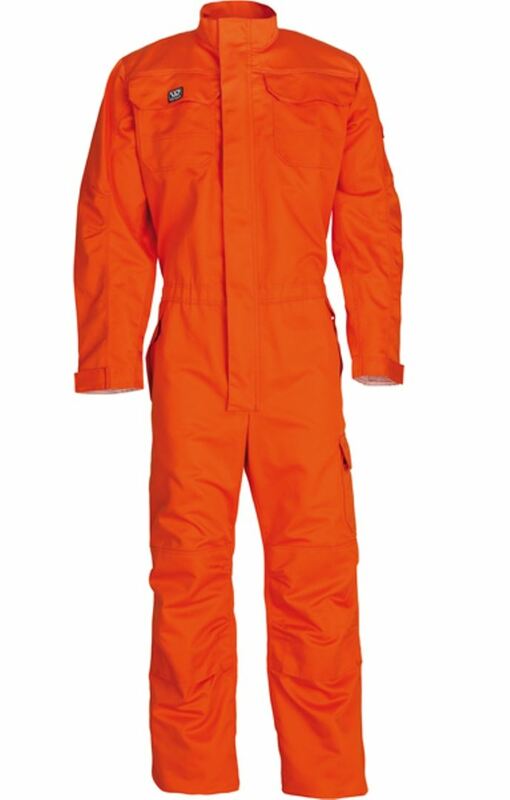 This garment protects you from splatter, radiant heat, molten droplets, flame spread associated with welding. The level of protection depends on whether the certification is Class 1 (Basic) or Class 2 (More hazardous). EN ISO 11612:2008 compliant. This protects you against heat and flame. Successor of EN 531:1995. Discover more our products - Roots FR Coveralls. Explore our products and Safety solutions in our Janitorial Supplies Category.